For nearly 80 years, Yvon Chouinard has followed his own advice, pursuing, with equal fervor, sports adventures, business excellence, and environmental activism. Since 1950, he has captured the lessons and revelations he’s learned in articles and books, personal letters and poetry, introductions and eulogies. In this fascinating inside look, Chouinard himself has selected his favorites from years of reflection, all accompanied by illustrative photos, many never published before. The results is both more of Chouinard’s iconoclastic and provocative thinking, his skilled storytelling and sense of humor, and a picture of the evolution of his thoughts and philosophies. With articles on sports, from falconry to fishing and climbing to surfing, with musings on the purpose of business and the importance of environmental activism, this very personal book is like sitting on the couch with this amazing man, flipping through his photo album as he tells the stories of his life. Some Stories is an eclectic portrait of a unique life lived well. Yet the final pages of the book indicate that Chouinard will continue to challenge people, business, and the world. He presents the company’s new simple but direct mission statement, revised for the first time in 27 years: “We are in business to save our home planet.” With it he emphasizes the urgency of the climate crisis then entreats every person’s obligation to reflect on, commit to, and act on this mission. Artwork by Pamela Phatsimo Sunstrum; Quadra IV, pencil, gouache, and watercolour on wood panel. From Jim Harrison: The Essential Poems, by Jim Harrison © 2019. Reprinted with permission of Copper Canyon Press (coppercanyonpress.org). 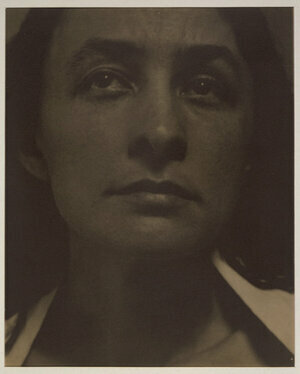 The Library of Congress has announced the acquisition of a trove of letters from Georgia O’Keeffe — photographed here by her husband, Alfred Stieglitz. Alfred Stieglitz/Library of Congress, Prints & Photographs Division, The Alfred Stieglitz Collection, Purchase and Gift of The Georgia O’Keeffe Foundation. Imagine Georgia O’Keeffe needing “luck” to paint a flower. But there it is, in the artist’s twirling calligraphy, in a letter to her friend, documentary filmmaker Henwar Rodakiewicz. 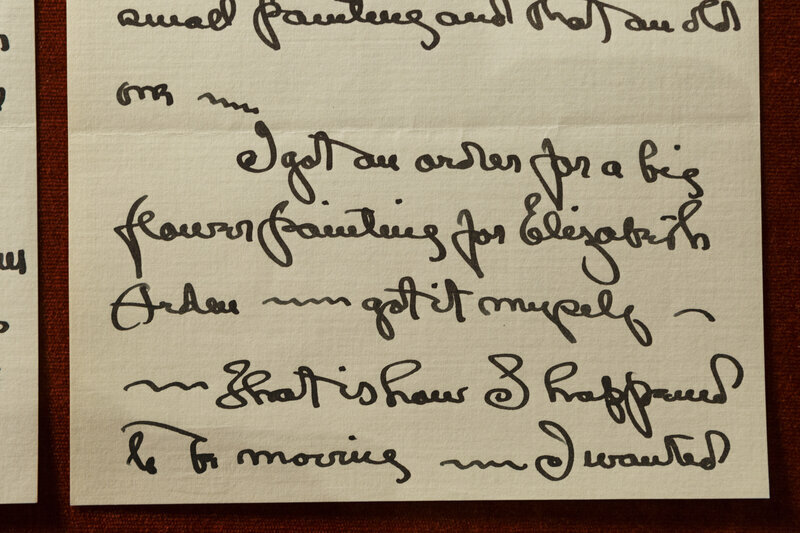 The letter is in a never-before-seen trove of O’Keeffe’s correspondences newly acquired by the Library of Congress. In this particular 1936 letter, O’Keeffe writes about an “order for a big flower painting” for cosmetics executive Elizabeth Arden. Though she’d been painting flowers for years, this commission stood to expose her to a much wider audience. Barbara Bair, manuscript curator with the Library of Congress, says this was an important step toward O’Keeffe becoming more independent as an artist. Up to that point, her artistic career was mostly managed by her husband, the photographer and art promoter Alfred Stieglitz. 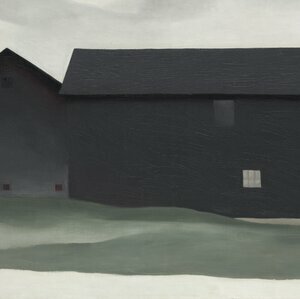 The result was “Jimson Weed,” currently on display at the Indianapolis Museum of Art, for which O’Keeffe was paid $10,000 — a large sum at the time, especially considering it was during the Great Depression. Soon, O’Keeffe had another commercial job, painting in Hawaii for a Dole Company promotional campaign. The collection, which also includes letters Stieglitz wrote to Rodakiewicz, were discovered by a couple as they cleaned out a new home they’d purchased in Santa Fe, N.M. The house belonged to the filmmaker’s widow. After O’Keeffe met Rodakiewicz in Taos, N.M. in 1929, the three (including Stieglitz) became friends and traveled in the same artistic circles. For Bair, this stash of O’Keeffe’s letters, spanning 1929-1947, captures a time of great transition as the artist splits her time between the East Coast and the Southwest. In a letter from 1944, O’Keeffe describes the view from her New Mexico home near the mountain of Cerro Pedernal — the inspiration for many of her paintings. The last couple of years have taken their toll on Lawrence Ferlinghetti. The American publisher, poet, painter and political activist is frail and nearly blind. He spends a lot of time in bed, relying on his assistant for emails and phone calls. His body might be failing him. But his mind is still on fire. He’s hoping for a revolution. Trouble is, he says, “the United States isn’t ready for a revolution”. Ferlinghetti is turning 100 years old this Sunday. And the man knows a thing or two about revolutions. He helped start one himself, changing the face of literary culture in the United States when he co-founded City Lightsbookshop in 1953 with a college professor friend, Peter Dean Martin. Born in Yonkers, New York, in 1919, Ferlinghetti came to California in the early 1950s, drawn to the state as a place where people could start over. It was what he called this country’s last frontier. Ferlinghetti’s mission for his new bookstore and publishing company was aligned with his left-leaning politics: to break literature out of its stuffy, academic cage, its self-centered focus on what he calls “the me me me”, and make it accessible to all. It was a big risk. Unlike most other bookstores around the country, which closed at 5pm on weekdays and were shuttered completely at the weekends, City Lights stayed open seven days a week and late into the night. Ferlinghetti wanted to create a sense of community, a place for people to toss around ideas. But Ferlinghetti was all about democratizing literature. City Lights weathered its fair share of ups and downs over the years, including financial woes and Ferlinghetti’s arrest in 1957 on obscenity charges for publishing Allen Ginsberg’s groundbreaking epic poem Howl. The charges were dropped, setting an important precedent for reducing censorship in the publishing world. The bookstore and publishing house became an institution, attracting and influencing literary figures across the generations, from the author Jack Kerouac to the film-maker Francis Ford Coppola (who once said of Ferlinghetti: “Lawrence gets you laughing, then hits you with the truth”) to the writer and publisher Dave Eggers. Ferlinghetti himself is an institution. There’s a San Francisco street named after him. 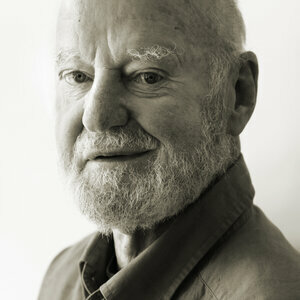 The city of San Francisco is proclaiming 24 March, his birthday, “Lawrence Ferlinghetti Day”. And his centennial celebrations are going on all month. Poets such as Devorah Major and Jack Hirschman are gathering to read Ferlinghetti’s poetry, and galleries are exhibiting his paintings. There are documentary screenings, parties and photo exhibitions. And the mayor of San Francisco is presiding over the planting of an olive tree in his honor. “Well, as long as it keeps growing, someone is going to have to water it,” Ferlinghetti says. He will also release his latest book, Little Boy. This autobiographical novel packed with classical literary allusions is written in a careening, stream-of-consciousness style that feels both intimate and – because it’s written in the third person and mostly does away with conventional paragraphing and punctuation – estranging. The book was many years in the making. It took Ferlinghetti’s longtime, New York-based agent, Sterling Lord, a while to sell. Lord says six publishers contacted him when they heard Ferlinghetti was coming out with a new novel. But all of them ended up turning Little Boy down. “In my view, they were really just the wrong publishers,” Lord says. Ultimately, Penguin Random House’s Doubleday division picked it up. 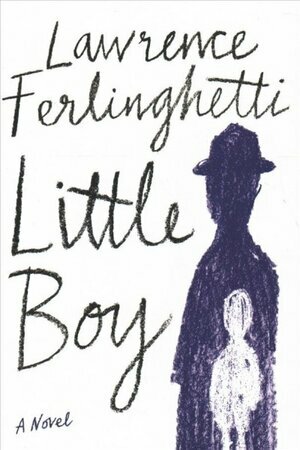 Little Boy’s story begins, abruptly, with Ferlinghetti’s mother abandoning her newborn son after his father dies of a heart attack. A beloved, childless aunt whisks baby Lawrence off to France. The story rushes forwards, with dizzying circumlocutions, from there. The patchwork of biographical narrative and freewheeling forays into societal commentary (“the icebergs melting and all that and humankind the temporary tenant floating toward the precipice unable to stop itself and its self-destruction”) makes the book feel like a memoir. Little Boy is in many respects a challenging read about a hardscrabble experience. But it’s not without its genteel moments – as when Ferlinghetti describes his early years living with his aunt, who at one point was hired as the governess of a wealthy east coast family. The Bisland residence was an enormous mansion in Bronxville, New York, just north of Manhattan. Ferlinghetti describes how the classically educated family patriarch, Presley Bisland, would fire questions at him – “Young man, you’ve been to school – who was Telemachus?” – and ask him to recite poetry for him at the dinner table in exchange for cash. It wasn’t until Ferlinghetti was studying for his doctorate at the Sorbonne in Paris on the GI bill, after serving in the US navy during the second world war, that he started writing his own poetry. Still, doing things the Ferlinghetti way hasn’t always been easy. Katzenberger says his idealistic, poetry-for-all vision is hard to maintain in today’s profit-driven publishing marketplace. At the end of our interview, I ask Ferlinghetti if he’s proud of his many accomplishments. “I don’t know, that word, ‘proud’, is just too egotistic,” he says. He’d really much rather get back to our discussion about what it would take to start a revolution. Published in 1993 by Simpler Way Book Co.
WHERE MOUNTAINS RISE, snow generally falls. And from time to time, the snow merely pauses on a slope, waiting for a chance to descend again — this time as an avalanche. Thus Central Colorado endures its share of avalanches. Three Western State College students were killed this spring by a snowslide on Cumberland Pass. In 1962, half the town of Twin Lakes was demolished by a slide that roared down Mt. Elbert. Monarch Pass gets closed, from time to time, by avalanches, as does the road to St. Elmo. But the state’s major avalanche zone lies to the southwest, in the San Juan Mountains, where avalanches are not an occasional danger, but almost a daily fact of life (and death) for most of the year. Living in Avalanche Country might be considered a social history of avalanches in some slide-prone territory. It passes over most of the science (things like moisture content and slope gradient) to focus on history and the human element from the vantage of Silverton — a one-time mining town in the heart of the range, where every route to town passes through slide zones. Avalanches are the main reason that the narrow-gauge tourist train from Durango doesn’t run clear to Silverton in the winter — there’s the danger of a slide striking the train, and the constant expense of snow removal. The Colorado Department of Transportation doesn’t enjoy the option of suspending operations in the winter, and authors Marshall and Roberts devote much of the book to that department’s heroic efforts to keep the highways open so that Silverton residents can get their groceries and mail. Conceptually, the process is fairly simple. As soon as the clouds clear and the wind dies down after a storm, close the road. Use explosives to bring down the snow on the known avalanche runs — a map in the back of the book lists 40 named runs between Ouray and Silverton. Then plow the snow off the road, and wait for the next storm. This began after World War II with a surplus army 75-mm howitzer, which was hauled on a trailer to where it could lob an explosive shell toward the top of the slide run. If all went well, it triggered the slide. More cannons were added over the years, but by 1986, the security requirements for storing the ammunition exceeded what small towns could offer. So now a helicopter takes off after every storm with a pilot and a bombardier, who drops the charges. It’s safer and faster, and the same crew can handle Wolf Creek Pass, too. On the ground, though, the road still has to be plowed, and the slides sometimes ignore the explosives, only to run later. On March 5, 1992, a snowshed on the East Riverside Slide saved the lives of four motorists who were trapped in it for 12 hours. But less than 200 feet away, outside the shed, two highway maintenance men had been buried under their plow truck. One of them, Danny Jaramillo, kicked out the truck window, reached a little shovel he had aboard, and dug his way to the surface and then walked to the snowshed. It took 18 hours. The other, Eddie Imel of Ouray died. His death led to improved procedures and better radios in the trucks, but the authors argue, rather convincingly, that if the East Riverside snowshed had been built to 1,100 feet long, rather than the money-saving 400 feet, the well-liked Eddie Imel would never have been swept to his death. Living in Avalanche Country teems with first-person accounts from survivors, generally well-told. One of my favorites was from an Arizona couple whose car was swept down by the Mother Cline slide in the spring of 1988. And as an informal student of place names, I was fascinated that the slides had names, many of them attached to local characters or events. One chapter focuses on mail-truck drivers, whose dedication is astonishing; the Postal Service should start using them in commercials. The authors go back to the 19th century for accounts and photos — the early freighters often tunneled through slides, and others taught pack burros to walk on snowshoes. So Pete’s up there about to shoot the Brooklyns. We’re standing there by the mine road where they park the cat. This guy pulls up in a station wagon and asks if he can take some pictures. “Sure,” we tell him. Well, Pete’s up there by Chattanooga getting ready to fire away. This guy has set a tripod and he’s got about three cameras hanging from his neck. He looks ready. ‘Bout the third shot Pete fires, things start happening. I mean happening. Every slide from the Eagle down through the Brooklyns takes off running. I think later we counted 16 avalanches that ran. Pretty incredible. Well, things start settling down and we begin to hear this camera guy swearing away. He picks up his tripod, camera and all, and throws it — I mean, hard — into the back of the station wagon. Then he throws his other cameras in one by one. “Must’ve got some great shots,” we said. “I never snapped a damn picture,” he replied. The swearing started up again. You know? I don’t think he ever did say good-bye. In some ways, Living (and Dying) in Avalanche Country is an extremely local book about coping with winter in the core of the San Juans, and you won’t find much lore from elsewhere. But in recounting those life-and-death struggles, Marshall and Roberts are telling stories that resonate throughout the Rocky Mountains, wherever avalanches might strike. Still occasionally find a copy on eBay or a local garage sale for cheap. Just heard from a friend that the book is still available at Fetch’s in Silverton. Mayflower Mill, (or the Shenandoah-Dives Mill) located two miles northeast of Silverton. Author Barry Lopez has made a career out of writing about his travels to far-flung parts of the globe. His new book Horizon focuses on six places that have shaped his understanding of the world. The book is ordered vaguely by locations, but things come in and out like the tide; at any moment, we loop back in time, we shift place, we meet him at a different age, we go entirely elsewhere. It makes for dreamlike reading, and these are clearly locations and memories meant to be savored. With his signature style, he filters the landscapes through cultural contexts, political history, and sharp physical observation. And he asks questions — explicitly, but also implicitly. What do we do when those in power consider the natural world a resource and not a protectorate? Can those who are knowledgeable be heard? Can we get back some of what we’ve lost? How do we learn to rely on each other? Who can lead with compassion in such hard times? Is it already too late? Will we survive? Occasionally, it’s difficult going — not just because of the import of these questions, but because Lopez doesn’t shy away from himself in his telling, the sort of flawed humanity that makes one think about one’s own filters for geographies of all kinds. He engages often with the aftermath of colonialism in ecological and cultural landscapes (for the Inuit, Aboriginal Australians, Native Americans); none of it cools his admiration for the ingenuity of Captain James Cook. His respect for Indigenous ways of conceiving nature is the result of years of listening; still, the book is peppered with outdated terminology. Though some things in a landscape are objective (ice that is gone is gone), these are pointed reminders that wherever you go, you have brought all of yourself with you. But Lopez is a welcoming host as he brings you across the world. He’s especially at home in the cold, and the chapters in the Arctic and Antarctica are full of passages that, in their painstaking physicality, lead inevitably to deeper psychological places. The painful clarity of Antarctic water and the euphoria of polar bumblebees in an otherwise-quiet Arctic landscape; the contrasts and unparallels of the long-abandoned stone dwellings of the Arctic Thule people and the much-more-recently-abandoned hut outside Cape Crozier where British soldiers hunted penguin eggs. The Lopez we see in Horizon is someone making his farewells, but this is also the writer who had Arctic Dreams and made an elegy of roadkill in Apologia: still as interested in the cruelties of the world as in its beauties, as forgiving of human frailty as of the necessity of one animal hunting another, and eager to wonder about the unknowable in-betweens. To him, it is all connected. 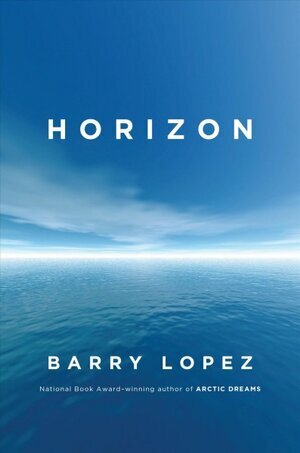 Horizon is a biography and a portrait of some of the world’s most delicate places, but at heart it’s a contemplation of Lopez’s belief that the only way forward is compassionately, and together. Whether that’s possible he doesn’t examine; then again, he describes so many things that don’t seem possible — what’s one more horizon to aim for? For Lawrence Ferlinghetti, living to be 100 is no fun. Speaking from his home in San Francisco recently, Ferlinghetti said he’s practically blind now — he can’t read, and he’s skipping his big birthday bash at the bookstore he co-founded, City Lights in San Francisco. Nevertheless, Ferlinghetti — who will turn 100 this Sunday, March 24 — has a lot to celebrate. Once a standout poet of the Beat Generation, his bookstore has become a popular landmark and the small press of the same name is still in business after more than 60 years. And he’s just published a new novel. City Lights became a magnet for West Coast intellectuals, and later, a tourist destination. Ferlinghetti also started the small press called City Lights Books. In the fall of 1956, he published a little 75-cent paperback: the first edition of “Howl,” by Allen Ginsberg. “Howl” includes passages of homosexual imagery, and Ferlinghetti was arrested in 1957 on charges of publishing obscene material. After a long federal trial, he was acquitted. Gerald Nicosia, the critic, says Ferlinghetti’s two greatest accomplishments were fighting censorship, and inaugurating a small press revolution. Ferlinghetti has always been an advocate for the underdog, in part because of his own life story — and it’s a tale right out of Dickens. His father died shortly before he was he was born, and his mother was committed to a mental hospital shortly after. He was raised by an aunt, and then by foster parents. That’s what Lawrence Ferlinghetti has been doing for most of a century. As for the secret to his longevity? “Have a good laugh and you’ll live longer,” he says, laughing. Critics, however, didn’t consider Ferlinghetti on par with the other Beat writers he called his friends: Jack Kerouac, Gregory Corso and Allen Ginsberg. Ferlinghetti doesn’t want to talk about his past now, but in 1994, he told me that even though he was raised in New York, he never met those East Coast writers until he moved to San Francisco and opened City Lights.